A deep space transmission reached us at Rhythm Incursions this week, coming from somewhere familiar and signed by none other than 2tall, universal astronaut, extended Rhythm Inc family member and producer at large. The sounds of the transmission are warm and comforting, much needed in these cold and snowy times. Once we decoded the transmission, the result was an hour of the latest sounds from across the planet beamed straight into your speakers. 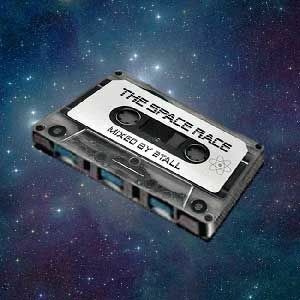 So we suggest you turn it up to 11 and strap up for a race across the universe carried by basslines and some of the finest beats, new and old. Also look out for 2tall‘s forthcoming release under his Om Unit moniker, which should be incoming on Terrorhythm records in the coming months. It’s been getting support from Benji B on BBC 1xtra and Alexander Nut on Rinse FM and having heard it we can tell you it’s well worth the wait. This entry was posted on Saturday, February 7th, 2009 at 10:50 am. It is filed under Podcasts, Guest Mixes and tagged with 2tall, Bullion, Uncle Lew, Ras G, Floating Points, Onra, Madlib, Afta1, Harmonic 313, Lukid, Jneiro Jarel, Architeq, 010, Daniel Savio, Beem, Jay Dee, Mr Scruff, Om Unit, Saul Williams, Tranquill, Sugoisounds, Actress, Dwilt Sharpp. You can follow any responses to this entry through the RSS 2.0 feed.